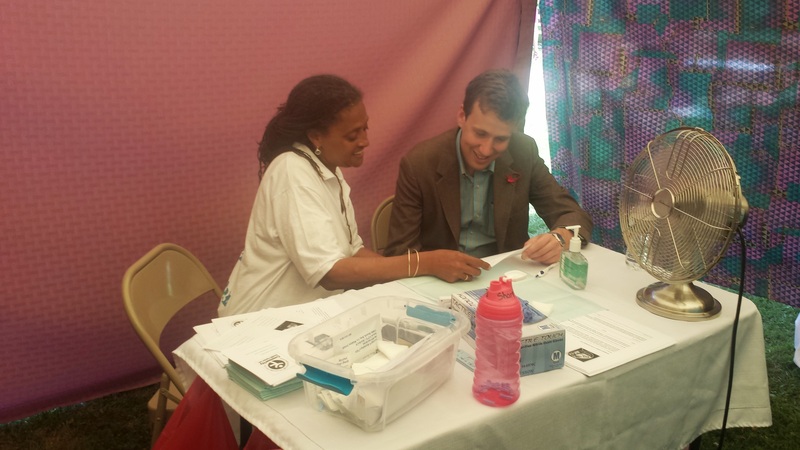 This past Friday, June 27th multiple nations around the world participated in National HIV Testing Day. It was an opportunity for members of communities to take control of their health and check their status. 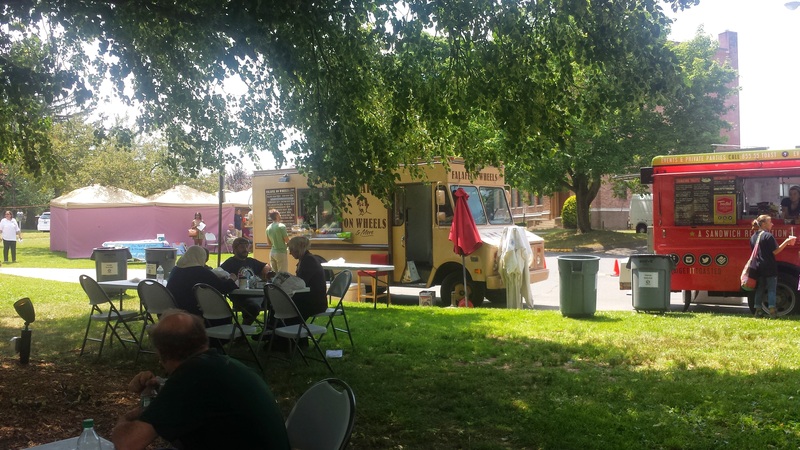 The Community Health Center & Oasis Wellness Center celebrated this auspicious occasion on Saturday, June 28th at the South Green located in Middletown, CT. The “Mad Hatters Testing Party” looked to honor those who had died from the disease, eliminate the stigma related to HIV/AIDS and also promote access to HIV/AIDS testing through your local community health centers. On the day of the “Mad Hatters Testing Party” the South Green was broken down into three components. That included an area for HIV and Hepatitis C testing stations, an area for local vendors to sell their product and an area for food trucks to distribute their food. The event began with the Mayor of Middletown Dan Drew, speaking to the community about the importance of early detection and getting tested. 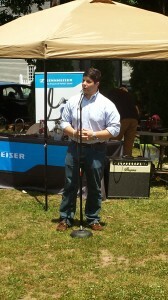 Also at the event was State Representative Matt Lesser who agreed to the tested on the day. Following introductions, the event was underway. 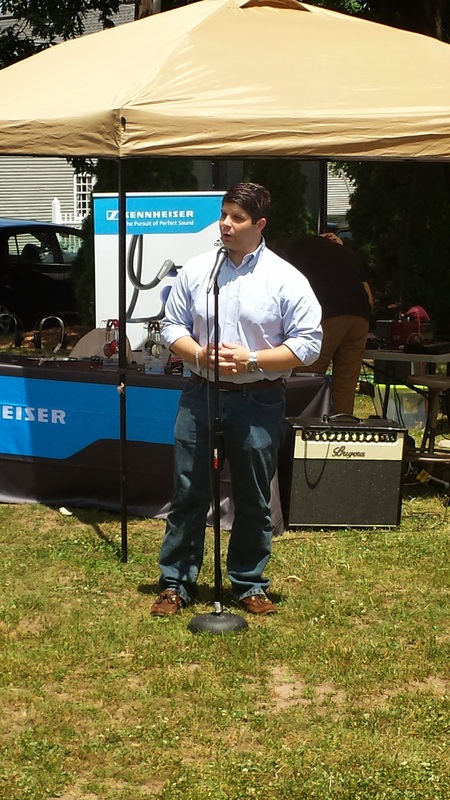 Throughout there was live entertainment provided by Dan Fisher, singer/songwriter, who also donated over $6,000 of audio equipment from his organization, Sennheiser, for the event specifically. Additionally, Dana Newman and her group “Someone You Can X-ray” performed throughout the day. Some of the local vendors also included 24 Peace, Woodworking, Tarot Card Readings by Wana and Klekolo while the food vendors included Mamoun’s and Toasted. 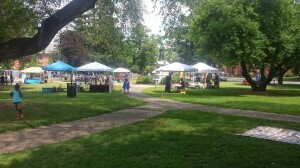 In all, the event was a huge success! Doug Janssen, Oasis Wellness Center program outreach coordinator and major contributor to the overall event, stated they had tested more people in a single day then they had ever at a Community Health Center or Oasis Wellness Center event. The goal of the event is to not just keep these numbers of people getting tested high on a single day but to promote the activity of Early Detection and getting tested every day. To get more information about the HIV prevention programs we have here at the Community Health Center and at the Oasis Wellness Center, click here.